Episode 156: Lester Bangs, Psychotic Reactions and Carburetor Dung | Book Fight! This week we welcome guest Hanif Willis-Abdurraqib, author of the poetry collection The Crown Ain’t Worth Much and a regular contributor to the revamped and relaunched mtv.com. 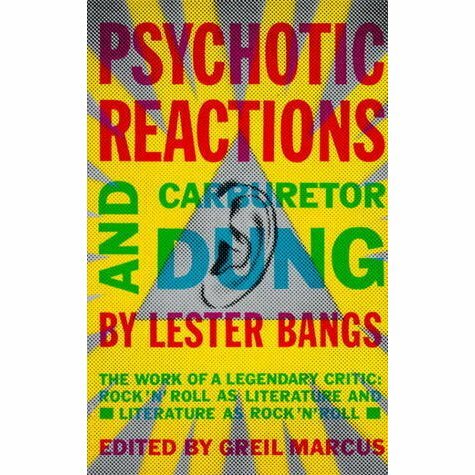 As is our custom, we let our guest pick the book, and Hanif chose the collected works of music writer Lester Bangs, Psychotic Reactions and Carburetor Dung, which was published after his death. We talk about what separates good music criticism from lousy music criticism, and what people look for from criticism in an age of social-media quick takes. We also talk about how to make an argument for the things you love and the things you hate, and how to keep nostalgia in its proper place. Plus The Wiz, and Space Jam, and why the NBA is a more ethical choice for today’s sports fan than the NFL. As always, you can stream the episode right here on our site, or you can download the mp3 file. You can also find us in the iTunes store, or wherever you normally get your podcasts. If you check us out in iTunes, please consider leaving us a quick rating and review, which helps us to reach new listeners. And help spread the word to your book-loving friends! Oh, and we’re always glad to hear your feedback about what we talked about on the show. You can email us, hit us up on Twitter or Facebook, or just leave a comment here on the site. Categories: Episodes | Tags: good music criticism vs bad music criticism, guest episodes, Hanif Willis-Abdurraqib, how much of yourself should be in your music writing?, Is Patti LaBelle's Philly's best-ever musical act?, Meek Mill, MTV | Permalink.